URL linking allows you to link the dashboard with valid web URLs. You can link URLs to a visualization widget by enabling the Enable Link property. 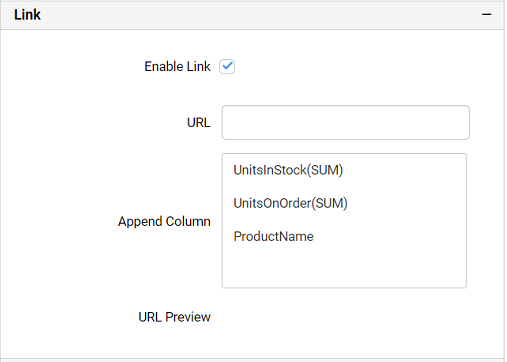 The Enable Link option is available in the Properties tab of the widgets. By default Enable Link property will remain unchecked. 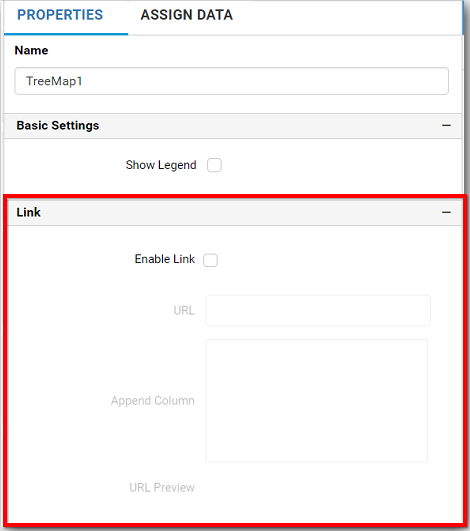 To enable linking select the Enable Link checkbox. Enter the Web URL in the URL text box. 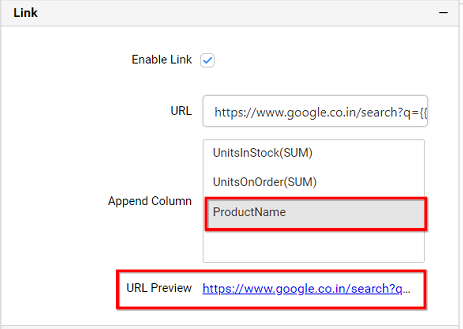 If you click on the column names listed in the Append Column name list , it will be appended to the URL entered in the URL text box. 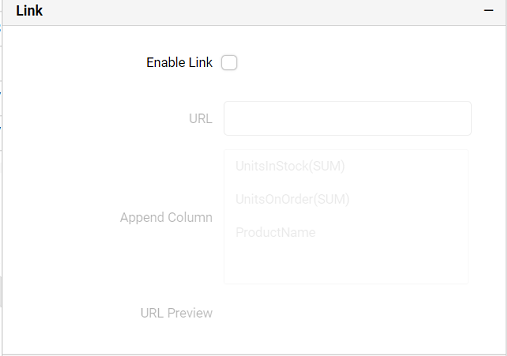 For Grid widget, you can get URL based on Row and Column. 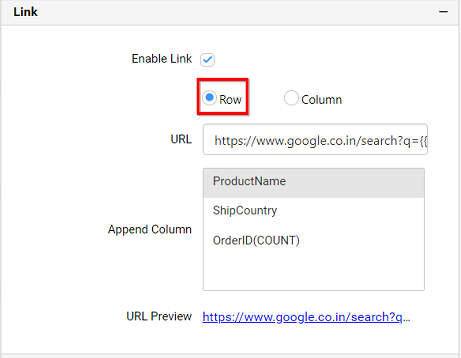 Append Column name list , it will be appended to the URL entered in the URL text box. You can preview the linked URL using the URL preview option. If you click the preview URL link,it will be opened in a browser. You can select the column. Choose the field from Choose Field property listed in the combo box. Add the web Url in the URL text box. Click Add button shown as below to add the field. Now, the field will be added with URL.